You inherit a lot from your parents. You might have your dad’s nose, your mom’s eyebrows, and your grandpa’s hair. You may even have some of the same mannerisms, likes, and dislikes as previous generations. Sometimes, genetics can give you wonderful traits. However, you might also have inherited some unpleasant things from the family members who came before you, like receding gums. What causes this problem, and how can a dentist help your smile be healthier? There are several possible culprits behind receding gums, but genetics are definitely among the possible causes. In fact, research indicates that about 30 percent of people are genetically susceptible to periodontal (gum) disease, which can cause gum recession. Being too enthusiastic about brushing and flossing. You want your mouth to be clean, but if you overdo it, you can damage your teeth and gums. Poor oral health habits. Bacteria can sneak beneath your gum line and lead to periodontal disease. Abnormal tooth positioning. If your teeth are in the wrong places, your gums might not fit around them as they should. Trauma to your mouth might contribute to receding gums. If you notice that your gums are receding, it’s important that you see your dentist as soon as possible. Don’t ignore the issue. It can seriously affect your oral health, leading to infections, loose teeth, and even tooth loss. Also, because recession exposes the roots of your teeth, which are sensitive to temperature changes, eating your favorite snacks and beverages could become painful. Your dentist will assess the problem and recommend a treatment option. If gum disease is the issue behind the recession, your dental care professional might perform a deep cleaning procedure that gets rid of bacteria and gives your gums a chance to heal. However, if gum disease isn’t the cause of the problem, you might need a different treatment. Gum grafting, which takes tissue from the roof of your mouth and uses it to repair the gums, may be an option. It’s also possible that your dentist will recommend gum surgery to address an infection. Mom and Dad might be to blame for your receding gums, but fortunately, your dentist can fight genetics and help you have a healthy smile. Dr. Les Latner is your friendly dental care professional at Westside Dental Associates. He provides treatment for gum recession and a range of other oral health concerns. If you have questions or concerns about your teeth or the pink tissue that supports them, contact our office at 310-477-1081.
by: Les Latner at October 17, 2017 . 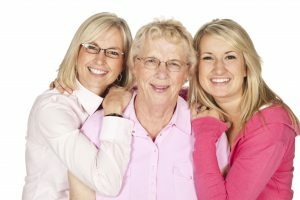 Comments Off on Are Receding Gums Hereditary?